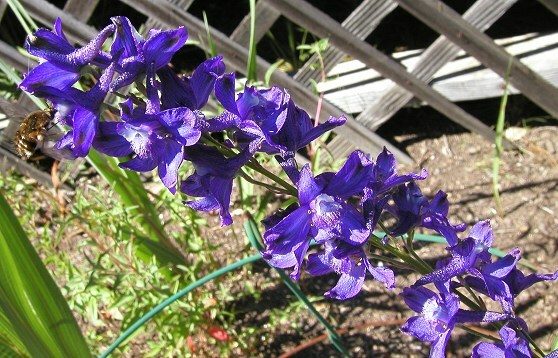 Delphinium parryi is a coastal Southern California species that is also found in Baja California. 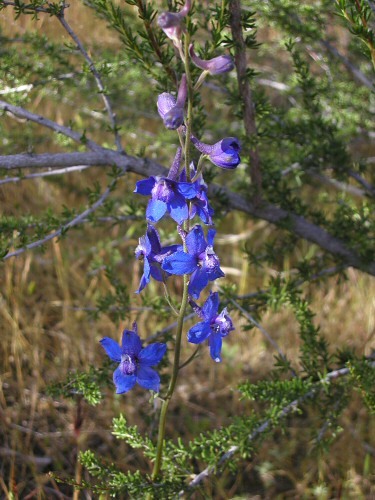 It is found in chaparral and open woodlands and grows from a deep, woody rootstock and has a tall stalk with beautiful large blue flowers and divided leaves. 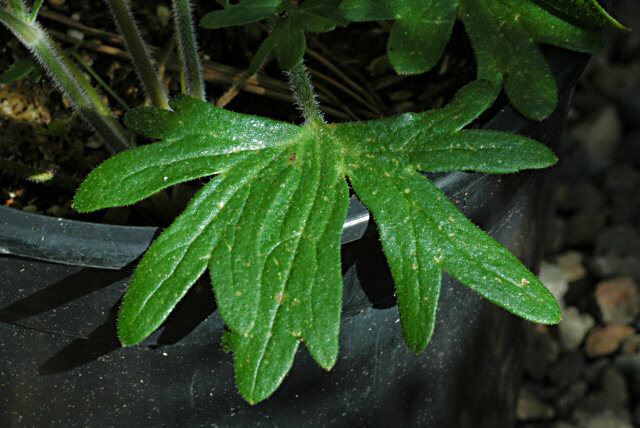 The first two photos are of plants grown from seed. 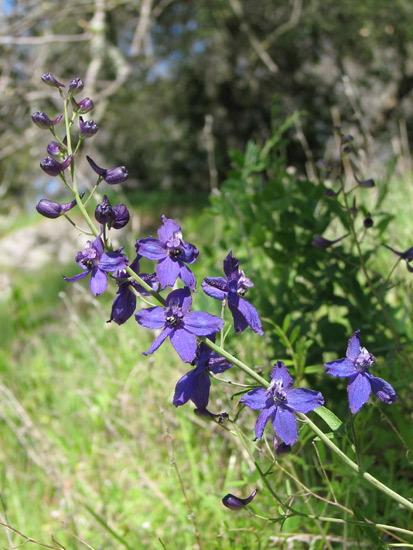 The next pictures show it growing in the wild in grassland along Jolon Road in Monterey County and near Figueroa Mountain, Santa Barbara County, and a closer version requiring a scramble up the side of a cliff where it was growing in chaparral. Photos by Mary Sue Ittner. 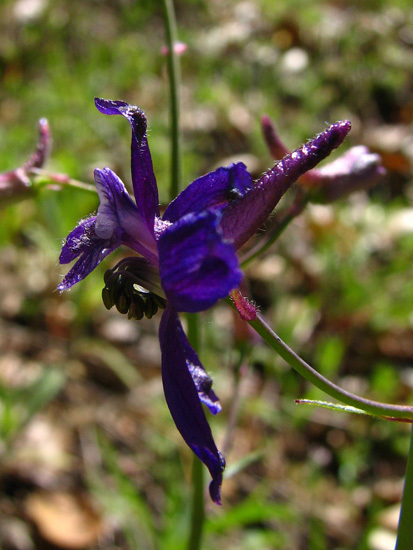 Delphinium patens is a species with tuberous roots and dark purple flowers found in grassy areas in the coastal mountains of California. The spur points upward. Photos 1-2 below were taken by Nhu Nguyen. 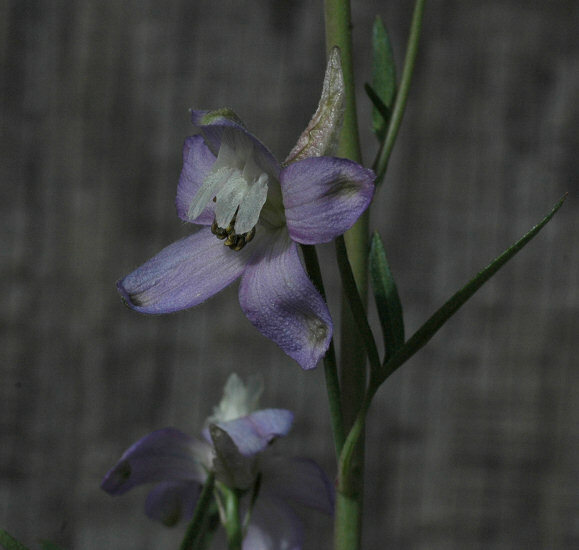 Delphinium patens subsp. 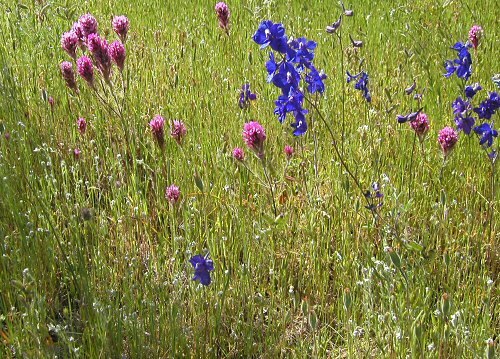 hepaticoideum seen on Figueroa Mountain, Santa Barbara county in April 2005 growing along the road. Photo by Mary Sue Ittner. 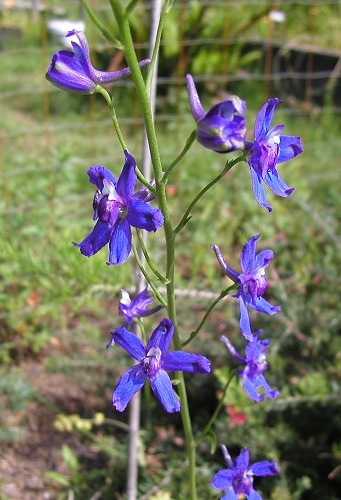 Delphinium patens subsp. 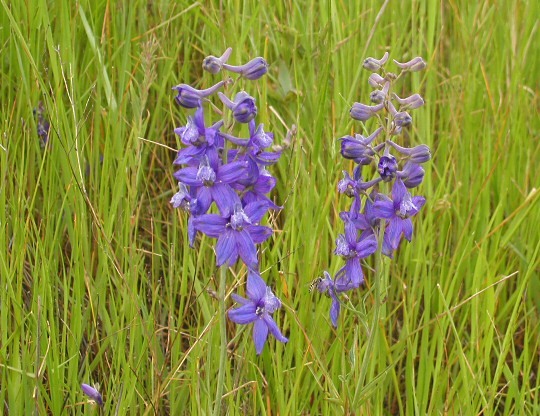 patens is found in grassland and open woodlands. Photo 1 was taken by Bob Rutemoeller and photo 2 was taken by Mary Sue Ittner. 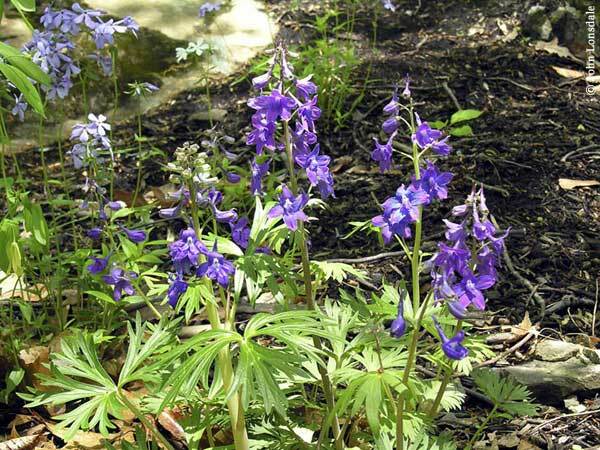 These plants were grown from Northwest Native seeds NNS 98-190. Plants from seeds flower in 1-2 years. 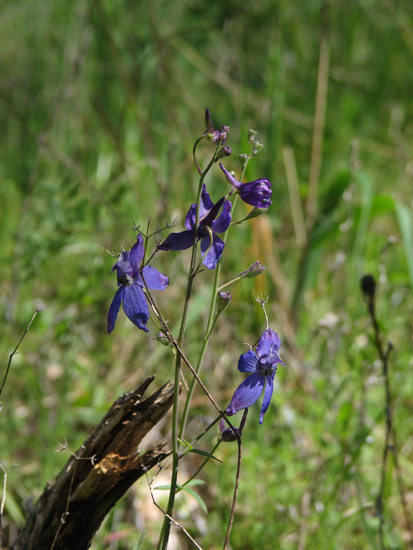 Photos 3-5 were taken by Nhu Nguyen of plants in habitat from Henry Coe State Park, CA. 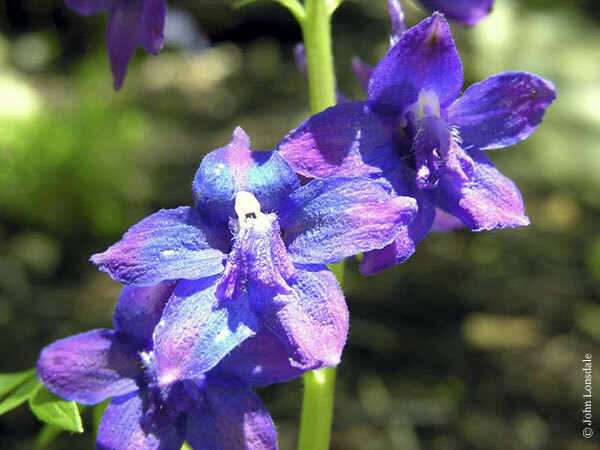 Delphinium purpusii is found on dry rocky slopes in chaparral and foothill woodland in Kern County, California. It blooms from April to May. 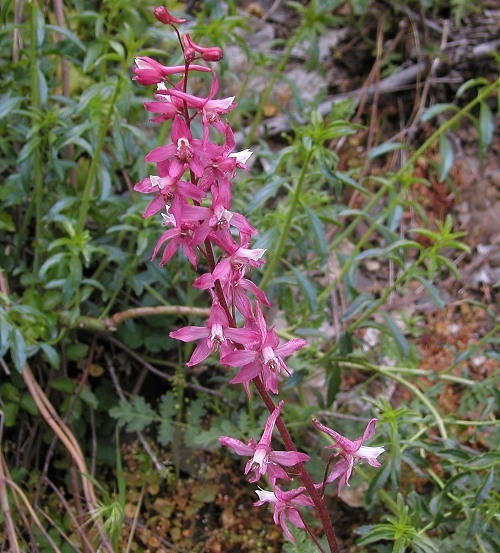 Growing from a deep-seated woody-fibrous rootstock, it has rose pink flowers. 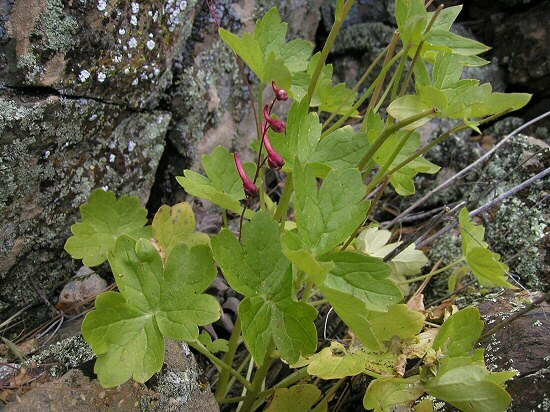 Plants photographed by Mary Sue Ittner were blooming April 2005 in the wild on a rocky slope in Kern County. 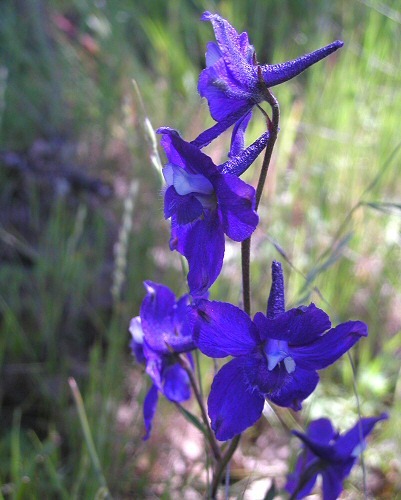 Delphinium recurvatum grows in grassland, shrubby places, and foothill woodland in the inland counties of the the Bay Area, the central valley, and the south Coast ranges of California. 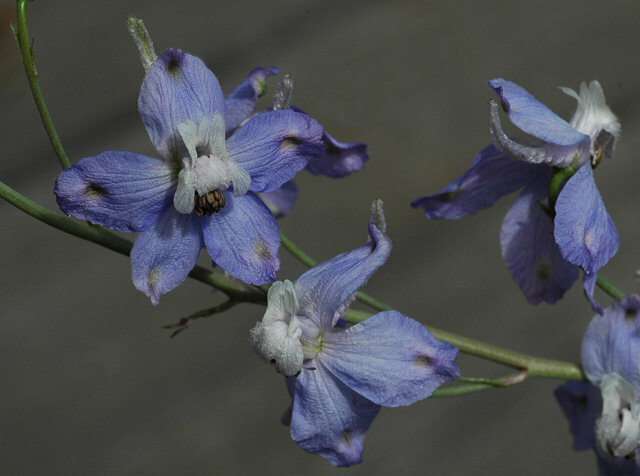 It is light blue with reflexed sepals and white upper petals. 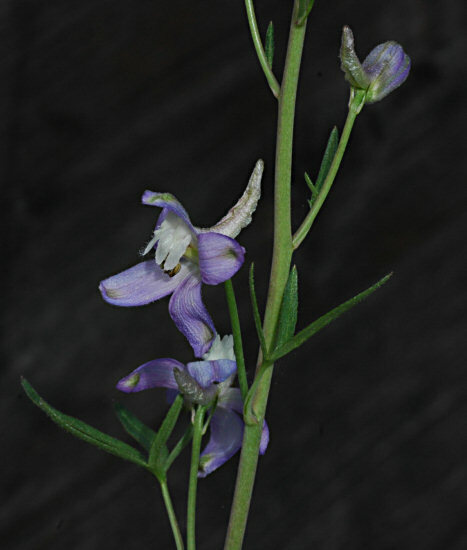 Photos by Mary Sue Ittner of plants grown from Northwest Native seeds. 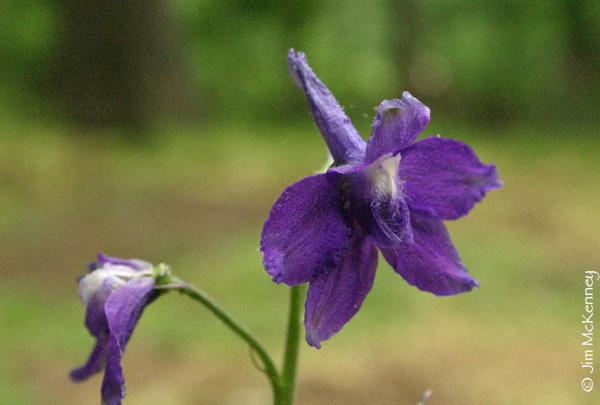 Delphinium sp. 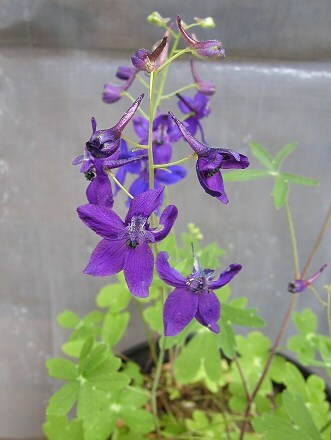 was grown from NARGS seed identified as Delphinium menziesii but it is not this species. 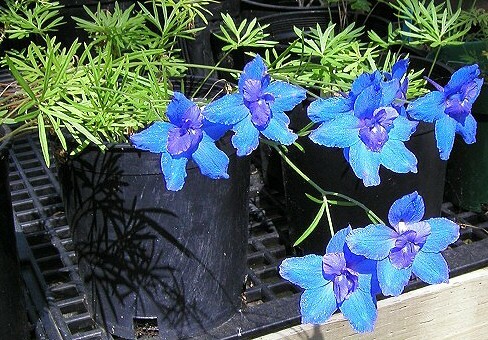 I have been unable to identify what it is, but it has flowers that are a gorgeous blue color, is briefly deciduous late summer, early fall, and blooms in summer. 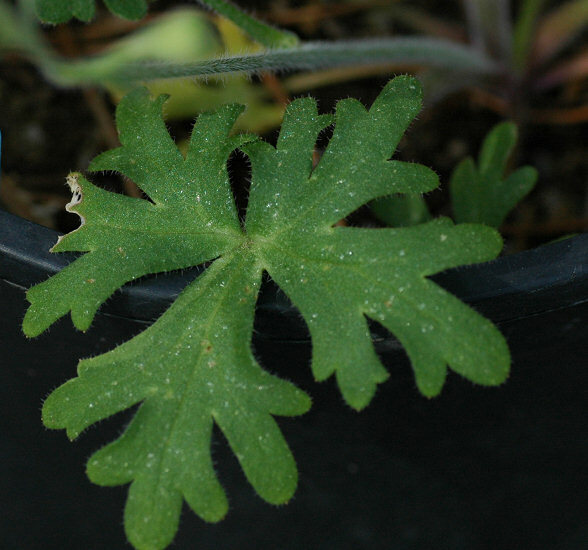 Photos below by Mary Sue Ittner and Bob Rutemoeller show the leaves, flowers, and the geophytic nature of this unidentified species (on a 1 cm. square grid). 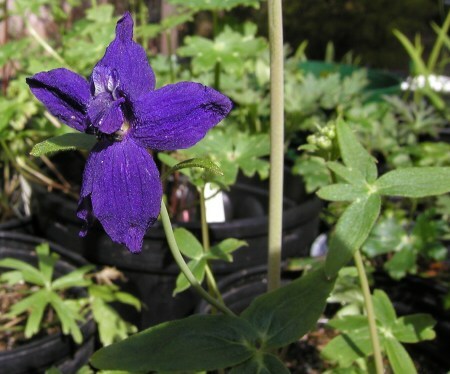 It has been suggested that this plant could be Delphinium chinense which is usually grown as an annual. Mine have not died over many years, but were best the first year. 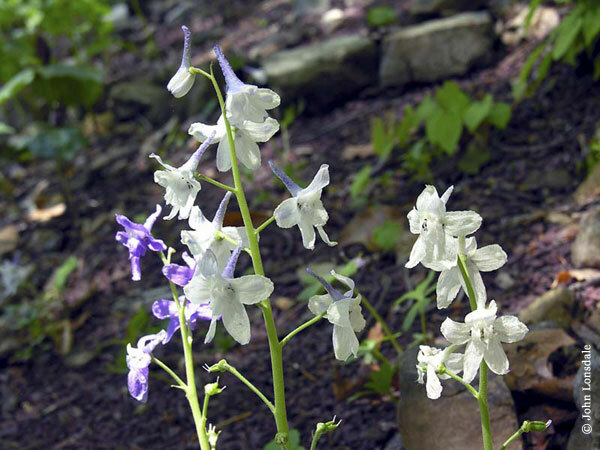 Delphinium tricorne , widespread in eastern North America, is a typical spring ephemeral. 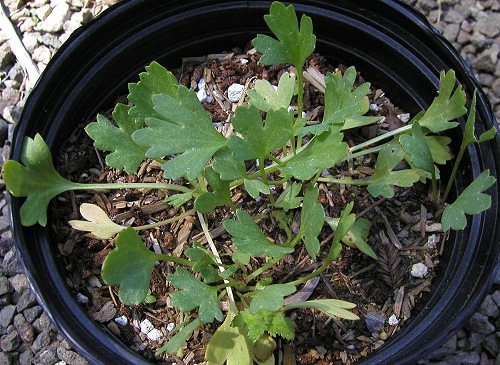 It grows from a cluster of tuberous roots and thus qualifies as a geophyte. 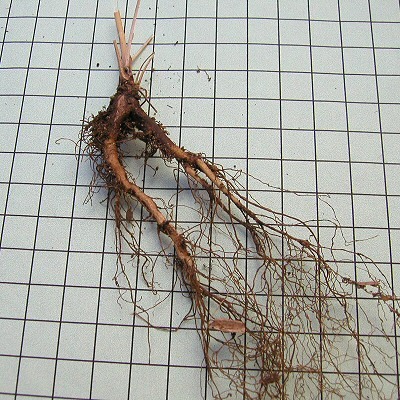 In rich soil the plants may be as much as three feet high, but usually they are seen as smaller plants about a foot high. 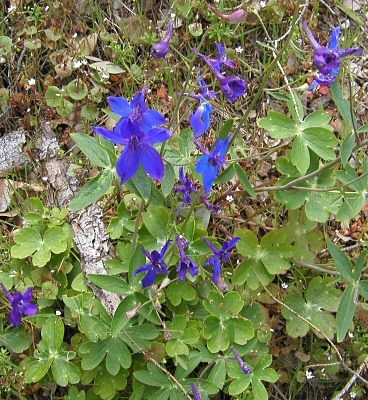 They bloom in early-mid May, and the flower color ranges from rich purple-blue to dirty whites. 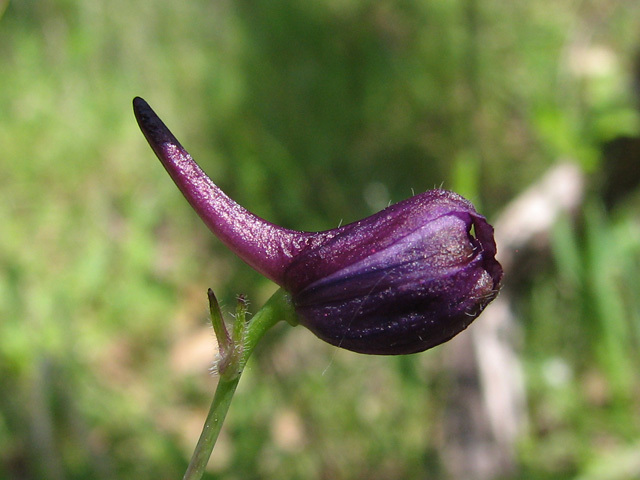 Oddly, this is not a common garden plant. Photos by Jim McKenney and John Lonsdale. 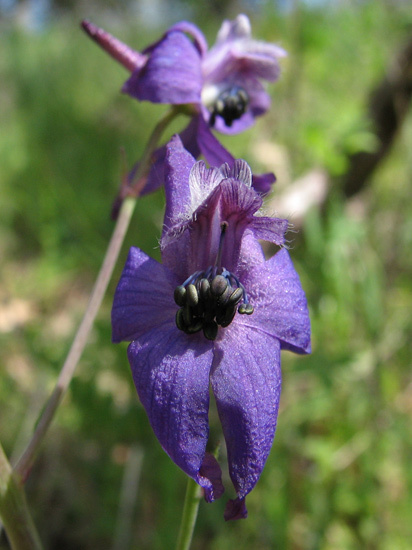 Delphinium uliginosum has purple flowers and thick fleshy leaves. 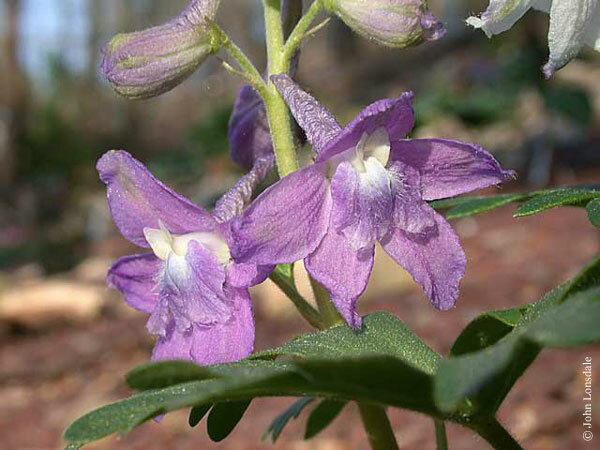 It is rare species found in wet areas in banks or damp rocky slopes sometimes in serpentine. 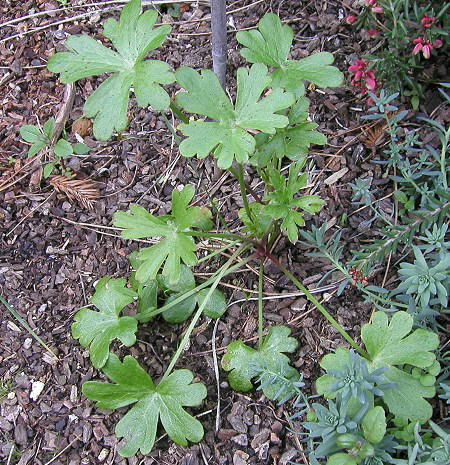 This photo by Mary Sue Ittner shows the distinctive leaves. I grew this for a number of years but could never get it to flower. Eventually I planted it out and it disappeared. 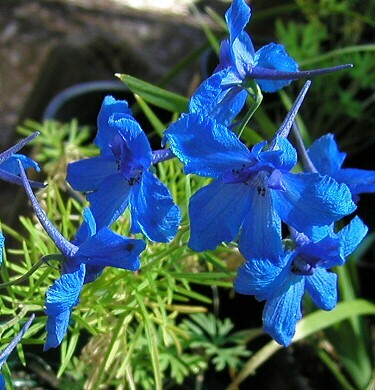 Delphinium variegatum has royal blue and white flowers and grows from clustered thick roots and leaves that are divided and forked at regular intervals. 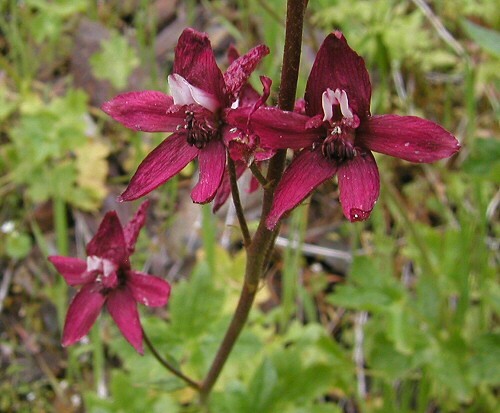 It is found in grassland and open woodland in the coastal ranges and foothills of California. It blooms in early summer. 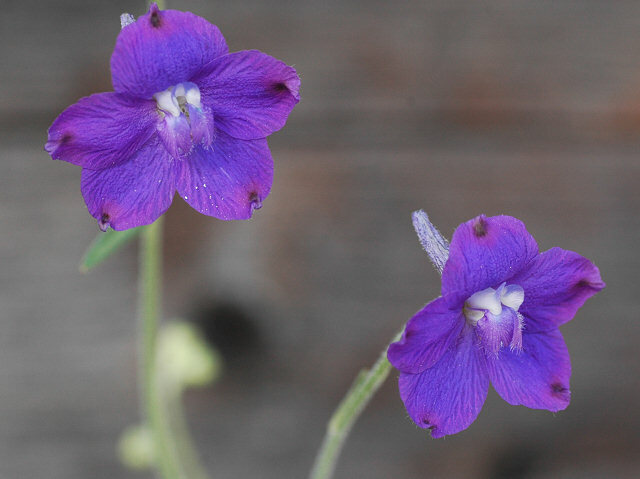 The first photos from Mary Sue Ittner are of garden plants. 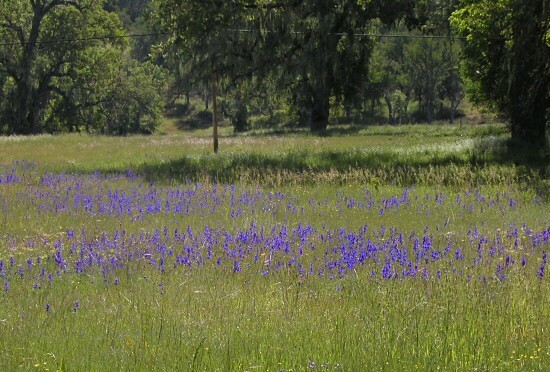 The last two were taken in Bear Valley, Colusa County, California where this species was growing in the grass, under trees, and with wildflowers (Owl's clover).